Document Signed, 8 ¼” x 11”, partly printed, July 15, 1922, “J. 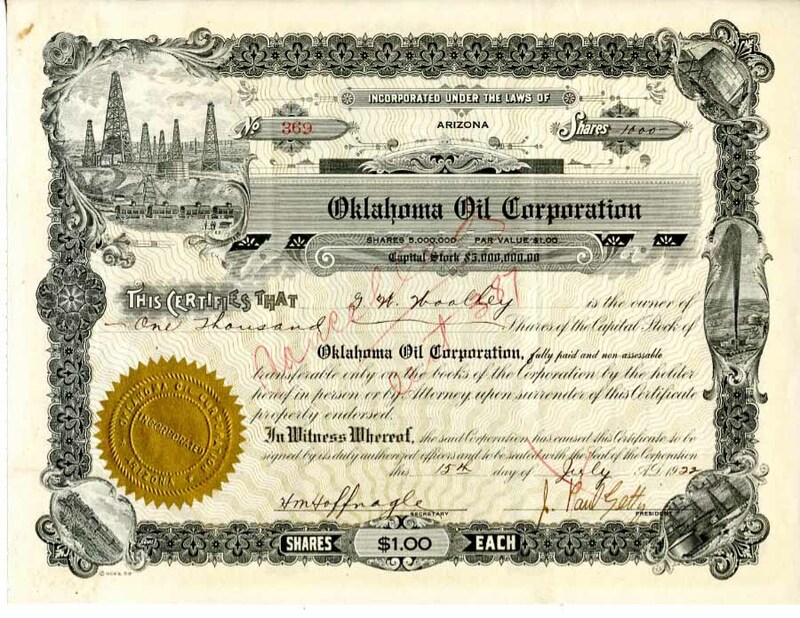 Paul Getty,” a stock certificate for one thousand shares of the Oklahoma Oil Company, issued to “G.W. Woolley.” Countersigned by the company secretary. The document is lightly toned, with a few small stains and light cancellation markings.